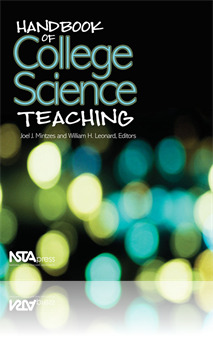 No other book fills the Handbook’s unique niche as a definitive guide for science professors in all content areas. It even includes special help for those who teach non-science majors at the freshman and sophomore levels. The Handbook is ideal for graduate teaching assistants in need of a solid introduction, senior faculty and graduate coordinators in charge of training new faculty and grad students, and mid-career professors in search of reinvigoration. 1.Strategies to achieve active learning and factors affecting learning. 2. Several innovative teaching approaches.